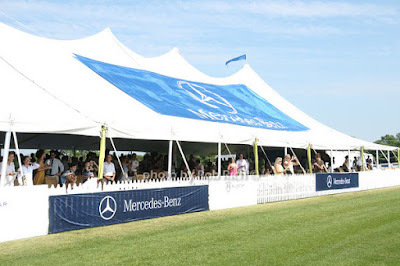 VIP’s, pseudo-celebrities, and social networkers put on the requisite Hamptons Summer Chic attire and headed over to the polo fields in Bridgehampton for the opening day of the Mercedes-Benz Polo Challenge 2009 at Blue Star Jets Field. For nearly three hours the group jockeyed for prime viewing space – so they could see and be seen but not necessarily watch the professionals on the field atop their pampered ponies. With nary a glass of champagne in sight (oh no!) the vodka flowed like a river and new snack PopChips kept folks satisfied as they shopped the pop-up venues for OPTXY by Gruen and Ralph Lauren. Notables including “Gossip Girl” star Chace Crawford (who was celebrating his 24th birthday), Kourtney Kardashian was looking cozy with boyfriend Scott Disick, “Desperate Housewives” star Kyle MacLachlan and wife Desiree Gruber, Beth Ostrosky (minus hubby Howard Stern), Star Jones, “Real Housewives of New York City” maven Jill Zarin and her family, co-chairman of NBC Entertainment and Universal Media Studios Ben Silverman, actor Sebastian Stam, and Ralph Lauren model and polo player Nacho Figueras situated themselves in the V-VIP tent as regular VIP’s vied for a chance to sneak under the velvet ropes and upgrade their status. Ms. Jones, Star Jones, that is of course as you know has split from hubby Al Reynolds and “The View” as well as her own Court TV show so maybe she’s feeling the pinch of the economy. 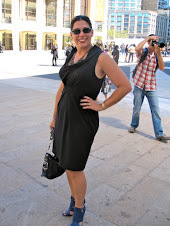 Well, I hear that instead of designer frocks with big price tags she was wearing a $20 dress. Not that there’s anything wrong about economizing but I’m surprised that Star is the new poster child for low-budget chic. 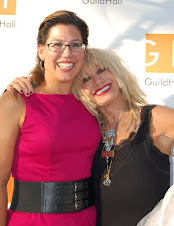 Other faces in the crowd included Edward Tricomi, Sir Ivan and Bunny Mina, Richard Johnson and Sessa von Richthofen, Wass Stevens, Rachel Heller, Emanuel Sylvano, Glenn Myles, Amelia Doggwiler, Marc Simon, firness celebrity John Basedow, Emma Snowdon-Jones, and Ryann Logan. More polo news and celebrity sightings to come next week from this weekend’s match on Saturday.